LONDON: A seminar, to be held in December, will review two new dementia care models, analyse the pressures facing care homes, aged/long-term care providers, and analyse the real depth and longevity of the dementia care business. The two new dementia care models will place enormous strain on care providers. They challenge current practices, facility set-ups and staff education standards. The challenge will bankrupt many operators unable to adapt to rapid fire change. 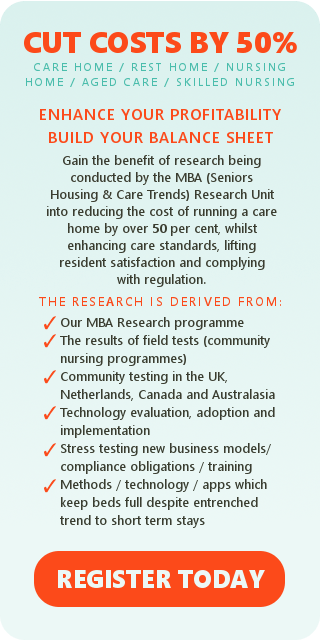 Registrations Now Available for the Over 50s Housing Trends Seminar to be held in London on 18th November 2014..